You're crunched for time, you're pressed for cash, and you don't have a lot of either to spend. Why would you waste them wandering around a car lot? If you want to make your stop at NJ State Auto Auction as efficient as possible, be sure to bring along a few key items that could come in handy. Even if you start registration and bidding online, having certain information might speed up the entire process. Here are five of the must-have items you should bring with you to an auction lot. It sounds simple, but it's important: Make sure you bring your driver's license. Whether you need it to verify your identity for final paperwork or take a test drive, this one card could make a big difference. Place your auto insurance card with it so you can be sure you drive off the lot without a problem. Most facilities will require you to show some kind of proof of address in addition to a driver's license. Recent bills with your name on them or a copy of your current lease may suffice. This can be difficult, so don't be afraid to get creative with your personal documents. If you plan on using auto financing, you're going to need to provide some personal financial information. While this is part of the process you can begin online before even heading to the auction lot, it's smart to bring some of the important documentation along. The most basic details involve your credit cards and bank accounts, but be sure to add any other paperwork you think is pertinent. We've all got the power to surf the Internet with just the touch of a button – and you should take full advantage of that when shopping for used cars. Keep your device close by in the event something comes up you want to doubled check, or you simply want to stay ahead of the process by remembering certain details about prospective used cars. It also allows you to check out comparable prices on nearby models so you can negotiate the best price. When all else fails, writing down figures and notes can be a huge advantage in the car buying process. Have a pen and paper handy. It's typically faster than trying to type into an electronic device, and it's more versatile as well. When you buy a used car, you're putting your trust in a lot of other people. 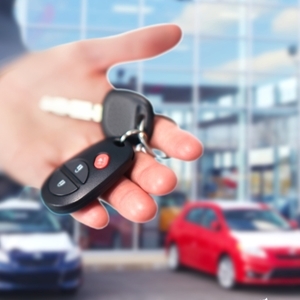 It starts with the manufacturer of the vehicle and extends all the way to the seller handing you the keys. Unfortunately, not all of these individuals have your best interests at heart. Previous owners of the car, for instance, may have ignored recall notices and simply passed along the automobile – leaving you to deal with the later problems. Carfax analyzed state registration data, ultimately finding that as much as one-fifth of the more than 230 million cars on the road have problems that were never fixed, despite recalls. That means about 46 million vehicles are cruising the open road with some type of faulty part. The organization also found that the state of New York has its fair share of unfixed recalls. According to the Carfax data, the Empire State comes in at No. 4 with more than 2.1 million unfixed cars on the road. Pennsylvania followed close behind at No. 5 with 1.9 million faulty vehicles. Drivers shouldn't leave their safety up to chance. Any car could have a problem in its history, and even what started as a minor issue could have grown to something big over time. It impacts more than the driver as well, as any failure could put passengers or other motorists in harm's way. "It's a very major public safety problem," said Chris Basso, a used car specialist for Carfax. "When those recalled cars go unfixed, they compound over the years, and it increases the chance of those parts failing." Buying a vehicle with a clean history is your best bet, but with so many recalls happening each year, it's not always feasible. Make sure you do your own research to see if the make and model has been recalled in the past. Once you know what to look for, you'll be in a better position to identify fixes and negotiate price. 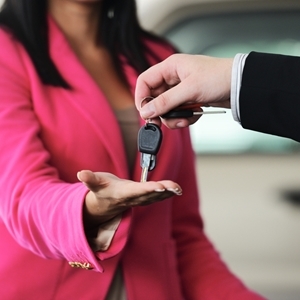 If you're shopping for used cars, it's important to find a trustworthy facility to do business with. At New Jersey State Auto Auction, you can deal with sellers and financing experts who are actively working to get you the best deal. The lot also contains hundreds of Carfax-certified cars, trucks and vans, which means you can scope out the automobile's history and make sure its servicing is up to date. It's no secret that some people need help affording a used car. Few drivers have enough cash to cover the full cost of a vehicle, so most turn to financing options such as auto loans to help them get behind the wheel. You don't have to have a sparkling credit history to get these loans, either, as more subprime borrowers are getting opportunities to do so. Experian Automotive recently released its latest report, the State of the Automotive Finance Market, which detailed the loan landscape in the fourth quarter of 2014. According to the data, the total outstanding balance on all loans reached $886 billion at the end of last year. That's the highest mark ever recorded. Some of that growth can be attributed to an increase in subprime loans. The volume of both subprime and deep-subprime loans grew, despite the fact that the total market share for the two segments declined from the same time last year, the report found. "Whenever there is an uptick in the number of loans to sub-prime and deep sub-prime customers, there is the potential for a 'sky is falling' type of reaction," said Melinda Zabritski, Experian's director of automotive finance. "The reality is we are looking at a remarkably stable automotive-loan market, in part because consumers are continuing to stay on top of their payments." Although subprime borrowers are still taking out their fair share of auto loans, the delinquency rate hasn't grown – a good sign that these drivers are paying back their debts. According to Experian, 30-day delinquencies grew only slightly to 2.62 percent from 2.61 percent, while 60-day delinquencies fell from 0.73 percent to 0.72 percent. This stability may encourage lenders to keep offering deals to subprime buyers. It also shows that the loans are good for borrowers as well, with these individuals able to make monthly payments and stick to a repayment plan. Even if you don't have the best credit history, you can find opportunities to buy used cars with the help of auto financing. The financing department at NJ State Auto is ready and able to assist you in taking advantage of these deals. Its experts can get you same-day credit approval no matter what your background is, allowing you to show up, select a vehicle and drive off the lot in a timely manner. Finding the right used car can be a real challenge. Not only do you have to consider the features and performance aspects that matter most to you, but you must stick to a budget. That's no easy task – especially in the current climate. Used car prices continue to climb, putting many drivers in a tough position when it comes time to buy. Why are expenses so high? It all starts with the quality of vehicles currently on the market. Lightly used models have many features that drivers want, as well as some examples of cutting-edge technology, and they offer all of these perks without major concerns about decreasing value or expensive new car payments. "Lightly used cars are very appealing to car shoppers since they are equipped with modern technology and have already taken their biggest depreciation hit," said Jessica Caldwell, a senior analyst for Edmunds.com. Because these vehicles are attractive options for many, the demand is greater, and that impacts price. 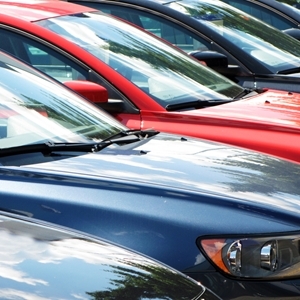 A recent report from Edmunds.com noted that the average cost of used cars reached a record high in 2014. The average price increased 5.7 percent from 2013 to hit $16,800. Some lightly used vehicles, such as those that were only 1 year old, sold for close to $30,000. Unfortunately, these expenses are well beyond the budgets of many drivers, and motorists will have to work around the high costs to find a car they love. Edmunds.com also expected prices to keep climbing, at least for the immediate future. However, auto financing options are also more prevalent than ever before, so the expenses may balance out and remain palatable for all types of drivers. While these high prices may be off-putting, it only underscores the importance of shopping around for the best bargains and interest rates. Because the average cost of used cars is increasing, it's important for drivers to do whatever they can to control expenses. There are plenty of places to find used cars for less than $10,000 – including NJ State Auto Auction. That lot is home to hundreds of Carfax-certified used cars, trucks and vans, and drivers can take advantage of the auction system to find great deals on quality vehicles. The Academy Awards show is widely considered to be the most prestigious ceremony in Hollywood. Every year, the Academy recognizes the best creative minds the film industry has to offer, and those who are lucky enough to nab a nomination in the acting categories often go on to become some of the world's biggest stars. Regardless of who takes home the coveted statue, all nominees often become fixtures in Hollywood. That means you'll be seeing a lot more of these faces and learning many of the details about their lives – including what kind of cars they're driving. Answer Financial got a head start on this by digging up the vehicle choices for this year's nominees. If there's one thing many of this year's Oscar nominees love, it's their luxury cars. That's especially true among the individuals in the Best Actor category. Frontrunners Eddie Redmayne and Michael Keaton, who have been nominated for their roles in "The Theory of Everything" and "Birdman," respectively, are fans of Audi. Redmayne was seen in a silver Audi Q7 SUV, while Keaton – a former cab driver – now gets behind the wheel of an Audi S4. These actors may be the favorites in their race, but they still have to beat out competitors Bradley Cooper, Steve Carell and Benedict Cumberbatch. Cooper, nominated for his performance in "American Sniper," regularly drives a Mercedes G55 Wagon, while Carell, who received a nod for his role in "Foxcatcher," was previously spotted driving a Porsche. Not every nominee chooses to get behind the wheel of a high-priced vehicle. Julianne Moore, who is the heavy favorite to win the prize for Best Actress thanks to her emotional performance in "Still Alice," prefers to drive a Toyota Prius. That's a far cry from some of her fellow nominees. Reese Witherspoon, who turned heads in "Wild," drives a Lexus RX, while "Two Days One Night" star Marion Cotillard owns a Jaguar XF. Rosamund Pike has similar taste. The "Gone Girl" actress has been seen in a Mercedes-Benz C-Class, according to Answer Financial. Even if you can't afford the same expensive vehicles the stars have, you can still make sure you're driving a quality automobile. Not sure where to begin? Head to New Jersey State Auto Auction. The lot is home to hundreds of Carfax-certified used cars, and one of these vehicles could be the right investment for you. It may seem like it's never the right time to make a big purchase. Maybe you've had some expensive surprises pop up, your personal financial outlook looks brighter in the future, or experts have said to hold off. Those are all valid reasons for waiting, but sometimes you need to spend money – such as when you need to replace an older, broken-down vehicle. 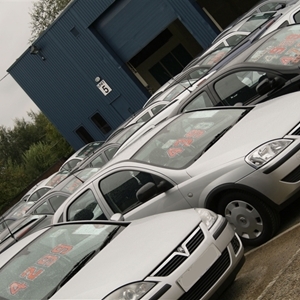 Luckily, the current economic landscape is one that's ideal for acquiring a used car. 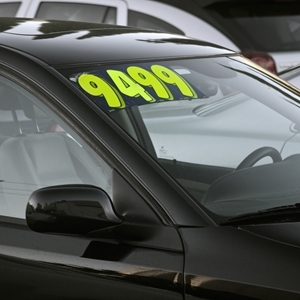 Why should you look to buy a used car now? Here are a few reasons the time may be right. WalletHub.com recently reported that interest rates for used cars are at one of the lowest points in years. While you may need to stretch out the payments, the longer loan terms could be ideal for anyone who is focused on sticking to a monthly budget. All you have to do is shop around for the right deal. 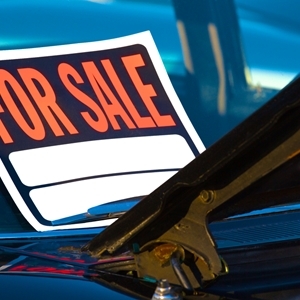 Purchasing a used car doesn't mean you're buying a low-quality vehicle. In fact, many options are only a few years old, and as a result, they offer plenty of valuable features that make your driving experience better. Many boast impressive fuel efficiency as well, ensuring you can spend less at the pump throughout your time as an owner. Even if you need special financing to purchase a used car, you don't have to wait long to complete the process. In fact, locations like New Jersey State Auto Auction offer same-day credit approval for any buyer. You can even start the paperwork online before heading to the car lot to choose your ride, sign your name and start driving. Spending a little more money to get a car isn't the end of the world – especially with so many other ways to save. In addition to negotiating the right financing option, you can also take advantage of low gas prices to stick to a budget. Brushing up on some knowledge relating to maintenance and repairs can also help keep cash in your wallet, as you won't be spending as much for oil changes and other types of routine work. Everyone needs to start building credit at some point. The trick is to find the right time and attack the problem with the most effective strategy – and that can be tough. You don't want to wait too long to start a credit history, but you also shouldn't take the leap before you're ready to make regular payments. Here are a few tips that can get your credit building started on the right foot. You should refrain from opening up too many credit accounts in the beginning. Start with one card and make a concentrated effort to have a sparkling record. Once you hit a year of success, you can think about adding a second card – preferably one with a better interest rate, now that your score has likely improved. 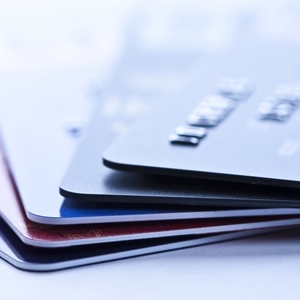 It may be tempting to put a ton of purchases on a new credit card. You might even come close to hitting the maximum limit. However, this will only hurt your score. Try to start by making smaller, more manageable purchases with the card and paying them off in full as soon as possible. As your credit limit goes up, you'll be in a better position to close on bigger buys. You have the right to check your credit score twice per year without cost. One of the major credit bureaus can provide you with the full report so you can scope out mistakes and track your progress. This also ensures you'll spot any errors before they become a problem. Major changes aren't going to happen overnight. You must be dedicated to the cause and really make an effort to make smart financial decisions – otherwise, you may be doing more harm than good. Hold off on major purchases until your credit score puts you in a good position. If you have to buy something big, such as a used car, make sure you head to a facility that will help you out. New Jersey State Auto Auction may be just the place. The financing department can assist you in securing guaranteed credit approval and finding an auto loan that won't put a damper on your wallet. Once upon a time, buying a used car was easy. All you had to do was head to a lot, pick the vehicle and fork over the cash in exchange for the keys. While some parts of that process may remain the same today, other elements are much more complicated. That's why some buyers need a little guidance to help them make decisions. Here are three tips you should use to make the shopping process a breeze and to ensure you wind up behind the wheel of the right car. Many Internet-based resources can be used to make the buying process easier. For instance, the New Jersey Auto Auction website allows you to start bidding on the used cars you want without even being on the lot. You can also get started on the paperwork needed for credit approval, which can ultimately save you a lot of time. Some drivers may feel they are uninformed, and as a result, they have a long list of questions they think are dumb. Don't let this fear keep you from speaking up. Edmunds.com recommended all buyers ask as many questions as they see fit – regardless if they think it makes them look like an easy target. If you're really self-conscious about it, simply conduct some research beforehand so you have a general idea of the car you're looking at or recent trends relating to auto loans. That should relieve some of the pressure and cut down on the unknowns, allowing you to focus on asking more informed, specific questions. There are many resources available to help you figure out your budget, so you might as well use them. Online calculators can assist you in determining how much each auto loan or interest rate will cost you in the long run. You can also look up long-term cost of ownership for certain models, which will allow you to estimate insurance and maintenance expenses. All of these contribute to the bottom line and need to be considered as part of your budget. If nothing else, this will provide you with a baseline that you can then compare to the loans a financing department offers. Ever heard of Warren Buffett? This tremendously successful businessman has been one of the biggest industry leaders for decades. While you may not know the details about his dealings, you've probably heard about his massive net worth and numerous charitable endeavors. His latest move is no different, as Buffett is putting one of his used cars up for auction to benefit an organization in his town of Omaha, Nebraska. Buffett donated his 2006 Cadillac DTS to Girls Inc. of Omaha. The charity, which was founded in part by the businessman's late wife and aims to empower young women, is selling the car to the highest bidder in an effort to raise money. According to The Wall Street Journal, the 8-year-old car has accumulated a little over 20,300 miles in its life. 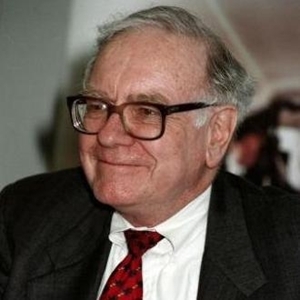 However, its vehicle history isn't totally clean: Buffett was involved in a fender-bender with the car in 2006, but he had the vehicle repaired, and it's been well-maintained ever since. It hasn't been wasting away in his garage, either – the source noted that Buffett drove the car until 2014 and then chose to donate it. The Cadillac's value is about $12,000, but the association with Buffett is going to raise the price tag. Also contributing to its worth is the Buffett autograph scrawled on the dashboard and the fact that the tycoon is offering to hand over the keys to the winner in person. All the car's new driver has to do is get to Nebraska and pick up the ride. Bids are being collected online from Feb. 11 to 19. The starting bid for the Cadillac is $10,000, and the final bid will likely be much higher. While that may be too rich for your taste, there are still ways you can find used cars for sale without raising your budget or sacrificing performance on the road. At New Jersey State Auto, for instance, you can browse through used car deals that come in under that $10,000 mark. Not only are these vehicles great for your wallet, but they still have the safety features and high quality you're looking for. No matter what your budget is, you can find a vehicle – and financing option – that works for you. A recent study from the AAA Foundation for Traffic Safety found that a considerable number of drivers admit to breaking the rules of the road. This occurs even despite the fact that one-fifth of drivers have been involved in a serious crash and most people recognize these practices are unsafe. Motorists who are serious about improving their driving habits do have some options when it comes to staying safe on the roads. Some help can come in the form of special features – or the lack thereof – their cars are equipped with. If that sounds appealing to you, consider these three factors that impact safety behind the wheel. You may be tempted to spring for a used car that's loaded with advanced technology and gadget-friendly interfaces. However, these amenities can occasionally serve as a major distraction on the roads, with many drivers attempting to justify their texting and calling instead of kicking the habit. "Despite the growing body of research that offers evidence about the possible dangers of using hands-free technologies, most drivers don't understand the risks and continue to use these technologies," said Peter Kissinger, president of the AAA Foundation for Traffic Safety. "The good news is that we all have the ability to make safer choices and can personally enhance our safety while driving." When you're trying to look through the hundreds of used cars available at places like NJ State Auto, you're probably putting features like cruise control on the back burner. However, having this perk working can be a huge advantage if you're trying to cut back on speeding. AAA noted that about half of drivers say they go more than 10 mph above the limit, even on residential streets, and having a resource like cruise control could help prevent speeding. According to the AAA survey, more than one-third of U.S. drivers report running through red lights. That's in spite of the fact that more than half of motorists believe this action is a serious threat to safety and a whopping 73 percent say it's completely unacceptable. For some, the reasoning behind zooming through a light could be as simple as not having enough room to stop – but with high-quality brakes, you don't have to worry. Make sure your used car has been cared for in the past and don't forget to invest in brake repair in the future. Once you've looked through the selection at New Jersey State Auto Auction and chosen the car you want, you're likely ready to sign off on a loan and get behind the wheel as soon as possible. That's all well and good, but you shouldn't let too much time pass without paying attention to the maintenance the vehicle needs. After you drive off with your used car, be sure to focus on a few maintenance tasks that can improve the quality of the vehicle and save you money. It's not a specific servicing task, but you should take it upon yourself to look over the owner's manual. Get an idea for how often you should be changing the oil or replacing the brakes. While the manual may not spell out an exact schedule, it can give you a few ideas and guidelines on caring for the used car. Although most aspects of the used car may be up to snuff, you should make sure the tires are ready to handle your brand of driving. People in New York and New Jersey, for example, should consider installing snow tires for the winter months. These wheels can be extremely helpful in inclement weather, and they also prolong the life of standard tires. At the very least, make sure you're rotating and aligning tires as needed, as this can improve fuel efficiency and driving performance. The last thing you want is to turn the key in the ignition and hear nothing. This may not be a common problem, but it can come about if you let battery care fall by the wayside. Make sure you're having the battery maintained as needed. You should also watch how you're using your vehicle's lights and radio when it's running on the battery. These simple tasks may drain the juice and leave you stranded, so be careful and keep an eye on the time. Any vehicle you drive off a car lot is bound to be clean and shiny, and you should take it upon yourself to keep it that way. Be sure to go through car washes, vacuum the interior and clear out any trash. Leftover debris inside your car can cause distractions and mask odors or sounds that would otherwise warn you of problems. Washing the exterior is even more important, as it protects against rust and corrosion. Credit scores and reports are an important part of securing auto loans. Lenders need to be aware of your history so they can come up with terms regarding interest rates, loan length and other details. This is all fairly straightforward, but things can get complicated when mistakes are made in the process. Mistakes on a credit report may have severe implications on your future finances, so you need to make sure all data is correct before signing off on a loan. Here are three steps to follow to ensure your report is accurate – even if it means contesting and fixing some errors. The first thing you have to do is get a copy of your credit report. Then you can look over your score and the factors that may be negatively impacting it. Any errors should be circled and clearly marked. Be sure to create your own copies for records as well. 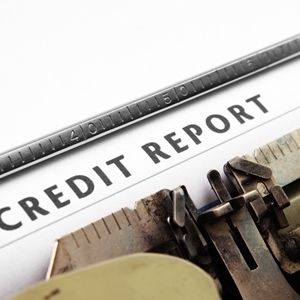 It's also important to get copies of your report from a few different credit bureaus, especially if you notice a mistake. The organizations may have different scores or errors that need to be remedied. Once you identify a problem, it's up to you to collect proof of the error. You'll need to put together a dispute letter that follows the proper guidelines and support your claims with evidence. Again, be sure you're making copies of everything so you have backup in case something goes wrong. You should also send everything to the organization with certified mail, as a receipt can be sent to you upon the package's arrival. Then you wait. Credit report disputes usually take about 30 days to be settled, but if you haven't heard back within six to eight weeks, contact the organization again. Should the bureau recognize the mistake, it will fix the report, send you an updated history and let other providers know about the error. When you need a car to get to work and complete other responsibilities, all of this necessary waiting can be tough. Luckily, the entire process doesn't have to be dragged out across weeks. At NJ State Auto Auction, the financing department offers guaranteed credit approval and same-day purchasing options, allowing drivers to get behind the wheel quickly. Drivers have a lot of concerns to juggle. Whether they're worrying about gas prices, the next scheduled tune up or starting the process of buying a used car, motorists have to focus on all kinds of financial and practical needs. While this may take a lot of time, effort and brain power, it's not an excuse to let other bits of auto news fall by the wayside. In fact, people who strive to stay on top of current events in the industry may find they are able to make smarter decisions. One of the most important things drivers can do is pay attention to auto news. There were a record number of car recalls in 2014. Although some industry leaders believe this may be attributed to people being overly cautious about potential problems, it's an area that used car owners should focus on. It can be tough for these drivers to get alerts regarding updates, so motorists need to go the extra mile to stay safe – no matter what type of vehicle they're driving. "I'd rather have people be preemptive," Mark Rosekind, the chief of the National Highway Traffic Safety Association, told The Wall Street Journal. "… Safety should not be based on the price of your car." 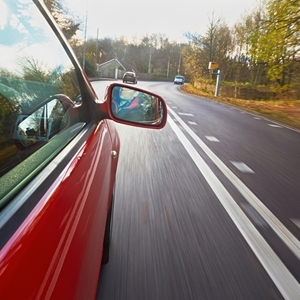 If you want to get behind the wheel of a used car, the fear of recalls shouldn't stop you. In fact, there overwhelming odds are that there won't be an issue relating to your ride, as many of the initial bugs vehicles experienced have likely been worked out. This is also easy to verify. For example, the selection of used cars at NJ State Auto Auction is made up of Carfax-certified vehicles, making it easy to get a vehicle history report. The work doesn't stop once you've secured the car you want. Make sure you're staying up-to-date on the latest recalls and related events in the auto industry. You should also be ensuring you're giving your car the care it needs. Proper maintenance is essential to good performance and fuel efficiency, and by heading to a shop for regular tune ups, you can be sure experts are catching any issues. Unless you've recently won the lottery, you're probably looking for ways to save money. One of the best methods for keeping cash in your wallet is to find savings at the gas station, and drivers around the country are doing their best to seek out affordable places to fill up. According to a recent report from the National Association of Convenience Stores, most drivers are willing to go the extra mile – literally – for cheaper gas. More than 60 percent of people said they would drive five extra minutes if it meant they could save 5 cents on each gallon of fuel. Even more reported that they would pay by cash instead of card if it meant saving money. Additionally, about 71 percent of respondents stated that price was an important factor in choosing a location to fill up the tank, and about 65 percent say they participate in loyalty or rewards program to save even more money. "It doesn't matter whether gas prices are $4.00 or $2.00 per gallon, consumers still want to find the best price possible," said Jeff Lenard, NACS vice president of strategic industry initiatives. "Retailers are constantly fighting to attract price-sensitive drivers to their stores, especially given that 35 percent of gas customers say that they also go inside the store after fueling." Although the average cost of a gallon of gas has been dropping steadily, that trend may be coming to an end. 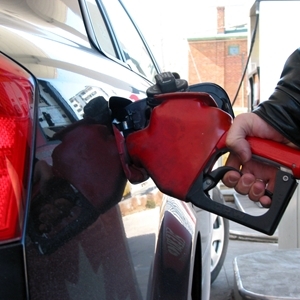 The most recent AAA report noted that gas prices increased about 2 cents per gallon during the first week of February. That brings the national average to $2.06 per gallon, which is still a considerable drop from the same time last year. "Many drivers are noticing an uptick in gas prices for the first time in months," said Avery Ash, AAA spokesman. "It is typical to see gas prices increase this time of year due to refinery issues, yet hopefully the consumer impact will be less problematic given how low prices are today." Anyone who is still concerned about how much they are spending on fuel should check out the efficient options at New Jersey State Auto Auction. The lot has hundreds of Carfax-certified used cars, and one of these vehicles could be a huge advantage for drivers trying to save. In today's world, even used cars are expensive. While you may be grateful for the high quality and longevity of these vehicles, the corresponding price tag is not as welcome. 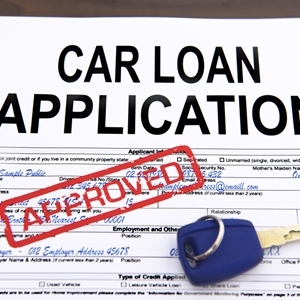 In fact, the expensive nature of used cars is forcing many people to turn to financing options such as auto loans. This is nothing new, but it's still important for would-be motorists to brush up on their knowledge and know the basics of financing. According to NPR, the number of people using car loans to get behind the wheel is reaching an all-time high. It's expected to remain relatively steady throughout 2015. That should be good news for many prospective buyers, as the average cost of used cars has been increasing, which makes auto loans necessary. "The ability to provide auto financing – be it prime or nonprime – is very important for our economy and for the health of our citizens in keeping people employed and money coming in," Jack Tracey, of the National Automotive Finance Agency, told NPR. "Not everybody can get on a bus and go to a job. Most people in the country need to have transportation." 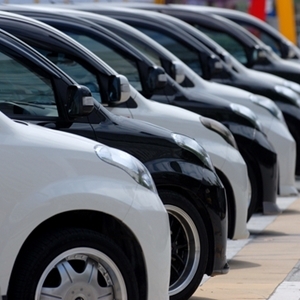 Many lenders are prepared to continue growing auto loans in 2015. Automotive News reported that, while organizations are being cautious, they are still ready to provide loans for prime and subprime borrowers. The key will be to remain disciplined and provide options that benefit everyone. For example, many people agree to longer-term loans because it lowers monthly payments. These can be advantageous for lenders as well, as they can offer different interest rates and appeal to a wider range of people. Although subprime auto loans are popular, it can still be tough for drivers to find a financing option that works for them. This is especially true for anyone who may be in a difficult financial situation or those who aren't familiar with car loans. The financing department at NJ State Auto can be a huge advantage if this is the case. A team of experts is available to help drivers secure credit approval and sort through all of the potential loan options. As a bonus, this entire process can be done quickly, allowing you to get behind the wheel in a timely manner. 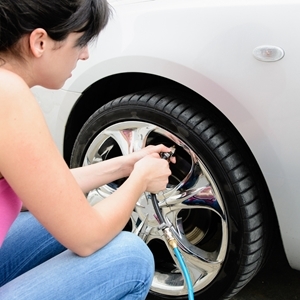 One of the biggest expenses you could face as a driver is car maintenance and repairs. Although these may take a backseat to insurance and loan repayments, you still need to budget for surprise costs and regular preventative maintenance. Planning for these expenses may be daunting, but there are ways you can keep your budget in check. Be sure to remember these three tips for keeping your car maintenance bills manageable. Even if a mechanic is the one doing the actual repairs, you should have a basic understanding of the tasks that need to be completed. The Internet makes it easy to troubleshoot potential issues and have a general idea of what the diagnosis will be. This allows you to budget for likely tasks and avoid being blindsided by major repairs. If you think something may be wrong with your automobile, make sure you take the time to compile a list of symptoms or red flags you've noticed. You can pass along this information to ensure a mechanic is examining all aspects of the car. Standard maintenance, which could range from oil changes to tire rotation, may not seem so costly. However, these relatively low-key procedures can add up to an expensive investment over time, which means you should constantly be on the lookout for ways to save. Whether you use coupons or build a relationship with a mechanic to have a trusted advisor, the effort could pay off in the long run. At some point, the extensive repairs your car needs will become too much of a money pit. The last thing you want is to be pouring cash into a vehicle – especially if you're paying more than the car is worth. Know when to cut the cord. Take a moment to look over your finances, including figuring out how much your current ride is worth and determining how much you're funneling into it. You can find a great used car to invest in at New Jersey State Auto Auction. The lot is home to hundreds of Carfax-certified used cars, trucks and vans, any of which could meet your needs. 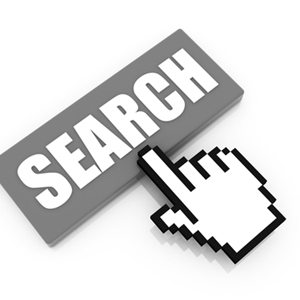 Search for an option that offers high quality at a low price. 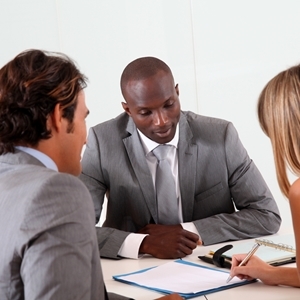 You can even work with the financing department to secure a loan and keep your expenses low. Anyone who has ever borrowed money has likely been concerned about paying it back. It doesn't matter if it's $5 from a friend or thousands from a huge company – the odds are you have some sort of plan to make up the amount. Unfortunately for borrowers, some lenders are more forgiving about repayments than others, and those large organizations are usually the most ruthless of all. But people who take out car loans may soon have some wiggle room when it comes to working off these debts. Currently, some cars have what's known as a "kill switch." These devices have the ability to shut down a vehicle remotely, which often gives lenders the power to locate the car and even disable it if payments are missed. There's even a chance the switch is added to a loan agreement. However, usage could soon change in New Jersey. Local officials from the Assembly Consumer Affairs Committee recently pushed out a bill that would ban the use of kill switches, according to NJ.com. "No one should have their car disabled because they missed a payment by a day or two," said the bill sponsor, Assemblyman Paul Moriarty (D – Washington Township) in a statement. "These devices are akin to having a predatory debt collector riding in the car with the borrower, ready to strike at the slightest mistake. It's incredibly unsafe and unnecessary. We need this bill to protect the safety and privacy of consumers." Not only do the politicians believe these devices are unethical, but they also argue that they're incredibly unsafe. Cars could be shut down in the middle of traffic or leave drivers stranded in an unfamiliar location, according to the source. Eliminating their use will keep all motorists safe while also removing a layer of stress facing many borrowers. Borrowers can increase the likelihood of on-time payments by signing off on a loan that makes sense for them. That's exactly what they'll find at NJ State Auto Auction. The lot has an on-site financing department that can work with buyers to find the right agreement for all parties involved. They also offer guaranteed credit approval and have many options for people who may not have the best credit history. 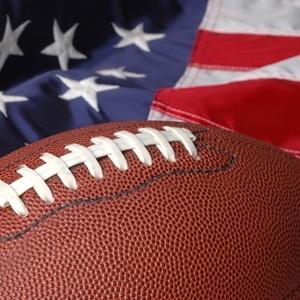 Chances are you were one of the hundreds of millions of people who tuned into the Super Bowl. While fans of the New England Patriots are reveling in their championship joy and the Seattle Seahawks faithful are in despair over play calling, those with no rooting interest are probably more interested in the commercials. There were plenty of memorable ads that aired during the big game, but some stood out more than others. Many of these spots came from the auto industry. While there were fewer commercials from automakers than in recent years, the spots certainly had some resonance. Here's three things we learned from these ads. Chevrolet decided to give Super Bowl viewers – all 100-million plus of them – a brief scare in the early minutes of the game. The ad began with a Super Bowl introduction before the screen abruptly cut to black. Then it returned with a simple message: "What would you do if your TV went out?" Although viewers were likely breathing huge sighs of relief, they also got the chance to think about the Chevy Colorado and its built-in Wi-Fi. In another tech-centric ad, BMW used a 20-year-old clip from "The Today Show," which featured anchors Katie Couric and Bryant Gumbel attempting to talk about the Internet. Then the scene cut to the present day, with the two newscasters sitting in a BMW and trying to wrap their minds around the new advancements. Automakers have long tried to appeal to drivers' sense of adventure. That's certainly what Jeep was going for in its ad. The 90-second commercial including some sweeping shots of global landscapes, all set to "This Land is Your Land." The Detroit Free Press noted that this "Beautiful Lands" campaign aims to raise awareness of safe water supplies as well as Jeep models. In the past, commercials have competed to be the funniest of the night. They usually employ a combination of celebrities, athletes and outrageous situations. This year was a bit different. Although Fiat elicited some chuckles with a spot centered around a special blue pill enhancing a 500X crossover, many commercials were a bit somber, with several focusing on fathers, life lessons and sharing special moments. With something for everyone, these commercials may have struck a chord with prospective buyers. If that's the case for you, be sure to head to New Jersey State Auto Auction, which has hundreds of Carfax-certified used cars for sale.